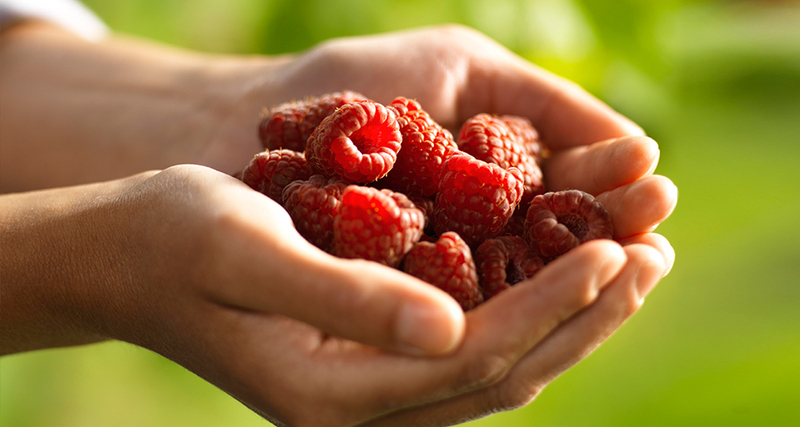 Our organic fruit comes from our choice of farming areas. They are strictly controlled from blossoming until harvest time and ripen naturally without chemicals. Pest control is only carried out according to the legal regulations for organic cultivation. Pests are dealt with naturally, e.g. by the preservation and promotion of their natural enemies such as birds and ladybirds. We use herbal extracts to combat fungal infections, for example. All these methods reflect our philosophy: nature, not chemicals. e have been sourcing our organic bananas from Costa Rica for decades. Our bananas are harvested in the middle of the jungle from numerous smallholds. In this way we help to prevent deforestation – an important element in the interests of people and nature.